Together, we will: Prepare students for high school, college and career readiness by providing each student with a high-quality educational experience; develop compassionate and courageous learners who honor diversity and will contribute to our changing world; be a creative and cohesive learning community that empowers students to pursue their dreams and fulfill their highest potential. Monroe Middle School is a professional learning community where academic achievement and success is valued by staff, students and parents. Monroe has a strong parent network that supports instruction and promotes a positive school climate. 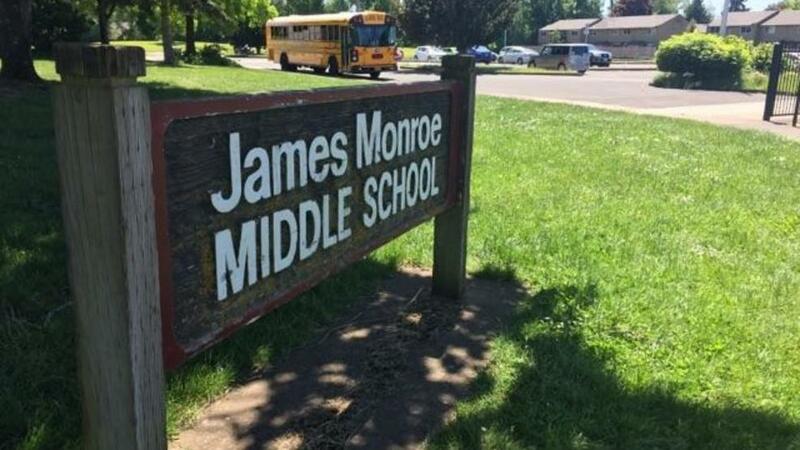 Monroe staff recognizes the unique needs of early adolescent students, and design developmentally appropriate education aligned to the state standards and articulated to high school, college and career readiness. Schoolwide advisory program focus on student’s social emotional growth and development incorporating the Second Steps program. The Spanish immersion program at Monroe Middle School is designed as a “program within a school.” Nearly all students in the program attended Buena Vista Spanish Immersion Elementary School. Students entering the middle school program who did not attend Buena Vista must demonstrate an appropriate command of the language. Immersion students receive approximately 45% of their lessons in Spanish, with the remaining 55% integrated with non-immersion Monroe Middle School students. Monroe’s rigorous Spanish immersion program prepares students for further language study in the immersion format at Sheldon’s International High School program, with the aim of achieving the International Baccalaureate and/or reaching levels of Spanish advanced enough to earn college credit. At the middle school level, alternative school students take courses with the at-large population of the host middle school along with classes in their specialized alternative program. Thus enrollment and state test results are counted with those of the host middle school. For more information, contact the school office.